What would you do if your whole life was a lie and learning the truth could cost you your life? 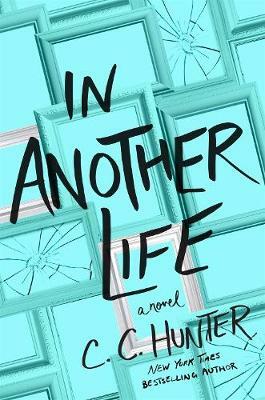 From New York Times bestselling author of the Shadow Falls series comes C. C. Hunter's new YA thriller about a girl who learns that she may have been kidnapped as a child, and must race to uncover the truth about her past before she winds up a victim. Chloe was three years old when she became Chloe Holden, but her adoption didn't scar her, and she's had a great life. Now, fourteen years later, her loving parents' marriage has fallen apart and her mom has moved them to Joyful, Texas. Starting twelfth grade as the new kid at school, everything Chloe loved about her life is gone. And feelings of d j vu from her early childhood start haunting her. When Chloe meets Cash Colton she feels drawn to him, as though they're kindred spirits. Until Cash tells her the real reason he sought her out: Chloe looks exactly like the daughter his foster parents lost years ago, and he's determined to figure out the truth. As Chloe and Cash delve deeper into her adoption, the more things don't add up, and the more strange things start happening. Why is Chloe's adoption a secret that people would kill for? C.C. HUNTER is a pseudonym for award-winning romance author Christie Craig. She is lives in Tomball, Texas, where she's at work on her next novel.